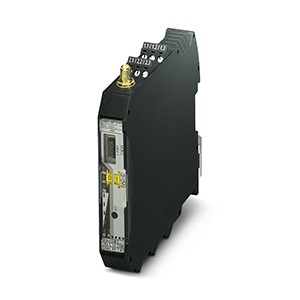 The I-LINK 100 is an digital and analog IO converter for use with SATELLINE serial radio modems. 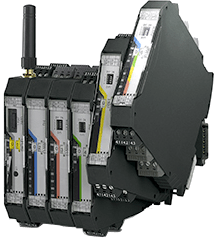 Easier to setup and less expensive than a PLC, the I-LINK is the perfect way to expand the reach of your digital or analog signals wirelessly with a companion SATEL radio. Both point to point modes and point to multipoint modes are available, depending on your needs. I-LINK PC software makes system monitoring and configuration simple. 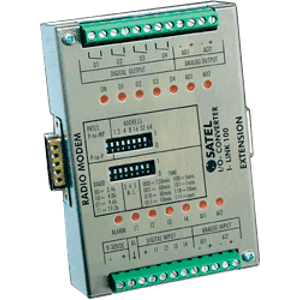 A variation is also available that is compatible with Modbus. The I-LINK 100 has 8 digital IO ports (4 in/4 out) with built-in relays and 4 analog IO ports (2 in/2 out), as well as connector for the radio and expansion modules. Up to 3 expansion modules can be added. The I-LINK 200 expansion module has the same number of IO ports (8 digital, 4 analog), and the I-LINK 300 has 12 digital IO ports (6 in/6 out). 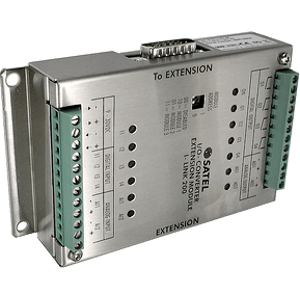 YI0017: I-LINK 100, modbus compatible version.